Helen Lyndon Goff (1899–1996), known to her family as Goff, was an Australian-British novelist, poet, actress, and journalist. 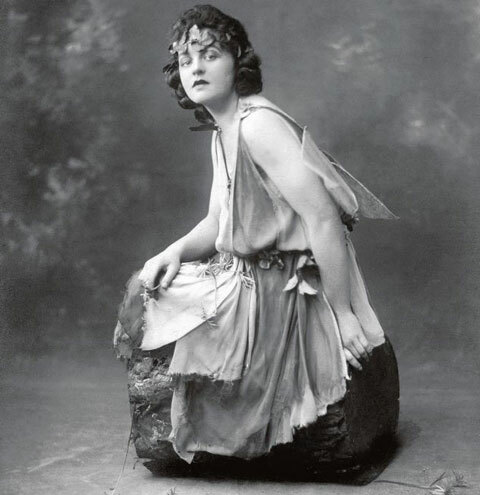 Goff began publishing poems as a teenager and wrote for ‘The Bulletin’ and ‘Triad’ while also gaining a reputation as an actress; she soon adopted the stage name 'Pamela Lyndon Travers'. She toured Australia and New Zealand with the Allan Wilkie's Shakespearean Company before leaving for England in 1924. There she dedicated herself to writing under the pen name P.L. Travers. In 1925 Travers met the poet George William Russell, who wrote under the name 'Æ'. As editor of The Irish Statesman, Russell accepted some of her poems for publication. Through him, Travers met W.B. Yeats, Oliver St. John Gogarty, and other Irish poets who fostered her interest in and knowledge of world mythology. Though Travers had numerous fleeting relationships with men throughout her life, she would spend more than a decade living with Madge Burnand, daughter of the playwright and ‘Punch’ editor Sir Francis Burnand. They shared a London flat from 1927 to 1934. Their friendship, in the words of one biographer, was 'intense', and equally ambiguous. In 1933, she began writing her series of children's novels about the mystical and magical English nanny Mary Poppins.